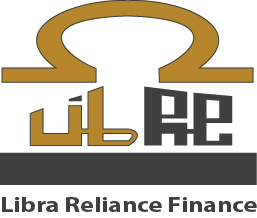 We are Libra Reliance finance, a leading financial services company in Nigeria, building on our strengths for over 5 years. After all these years our commitment to our customers and investors is unwavering. Our objective is to deliver the best customer experience at every touch point, in every market in which we do business. We want our customers to achieve the peace of mind that comes with a lifetime of financial security. Our commitments drive us forward and touch every business decision; from our culture to the products and services we offer – we are a company dedicated to our customers’ financial success. Our vision is to be a global leader in financial stability and wealth management. Our values are the foundation of our day-to-day business operations. We are committed to the highest standards of business ethics and good governance. We pride ourself in putting our customers first and remaining faithful to our obligation to maintain a lifelong profitable relationship. We provide sound financial solutions for our customers and always work with their interests in mind. We pursue operational excellence through our dedicated people, our quality products and services, and our value-based risk management. We deliver value to the customers and shareholders we serve and to the communities in which we operate.